Notice that the attributes of the polygon you just created are shown in the 2D Browser. Adjust the attributes as needed to suit your modeling situation. 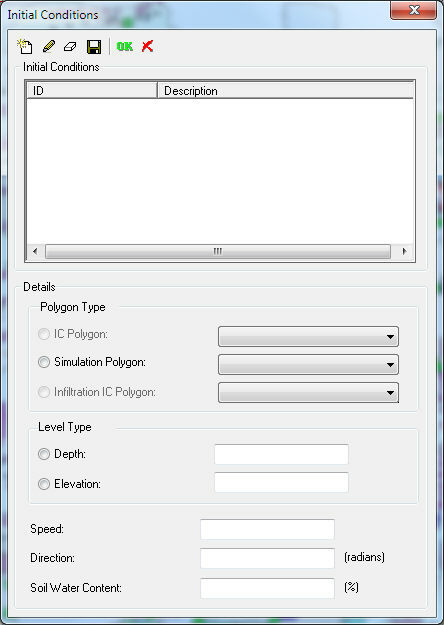 For a description of attributes, see 2D Simulation Polygon topic in the on-line help. The 2D Zone Modification object creation tool buttons are used to create the objects ( ). Polylines and polygons are digitized by clicking the point in the map where you want the first endpoint / initial vertex, then click intermediate vertices and finally double-clicking the endpoint / final vertex to complete the sketch. 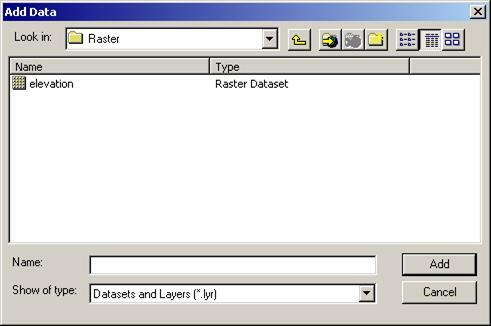 See the on-line helpfile for details about each modifier object. If there are any sources of additional flow onto the ground surface such as water springs or artesian wells, add them to the 2D simulation by adding 2D Point Source. Use the Create 2D Point Source tool to add point sources. After adding the point to the map, a Time Series representing the flow must be specified for the point source.